Dubai Land Department, DLD, has released its H1 2017 Transactions Report up until 30th June, through the Real Estate Research and Studies Department, announcing that total real estate transactions for this period reached a value of AED132 billion, achieved through 35,571 sales, mortgages and other transactions. The report reveals that the market has achieved a high percentage of growth compared to the same period last year, with total value increasing by 16.8 percent from a total of 7,320 transactions – an increase of 25.91 percent compared to transactions for the first six months of 2016. 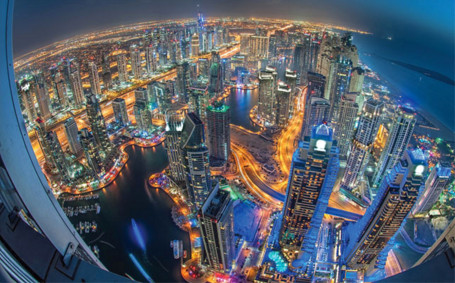 The report also confirms that the Dubai real estate market generated a total of 25,864 sales transactions worth over AED63 billion and 7,893 mortgage transactions worth AED60 billion, while 1,814 other types of transaction brought in AED9 billion. Providing an analysis of the value generated by different types of property, the report shows that the land category represented AED91 billion from approximately 8,000 transactions, while building sales accomplished 3,887 transactions with a total value of AED10 billion and unit sales crossed the AED31 billion mark from 24 transactions. Bin Mejren confirmed that the 26 percent increase in transactions and the 17 percent increase in value is an unrivalled success for the sector. “The success demonstrates the wisdom of the economic policies set by the government, particularly those that have contributed to the protection of all parties and the preservation of real estate rights, as these have encouraged real estate investment and safeguarded the growth of a transparent, sustainable and secure real estate sector,” he said. Emirati investors ranked first for both number and value of transactions, completing 4,510 transactions worth AED15 billion, followed by Saudi nationals in second place with a total of 1,936 transactions worth AED4 billion. The total value generated by GCC investors increased by 16 percent compared to the same period last year, with 7,665 transactions worth AED21.7 billion. The report also sheds light on the top ten areas in Dubai for both number and value of transactions. Dubai Marina took first place with 2,529 transactions, followed by Business Bay with 2,146 transactions, Al Barsha South 4 with 2,001 transactions, Jebel Ali 1 with 1,931 transactions, and in fifth place Al Thaniya 5 with 1,501 transactions. In terms of value, Palm Jumeirah topped the chart with transactions worth AED9.5 billion, followed by AED6.5 billion for Business Bay, AED5.8 billion for both the Burj Khalifa and Dubai Marina areas, and AED5.6 billion for Al Wasl area.